Jon Lachlan Stewart & Laura Metcalfe of Surreal SoReal Theatre’s new production The Genius Code drop by the Living Room Studios for a discussion on headphones, audience empowerment and messed up relationships. Plus, the arts news guru #theatremari is back after her long hiatus and an all new weirdo drops by to get the guests into his tincture recipe. 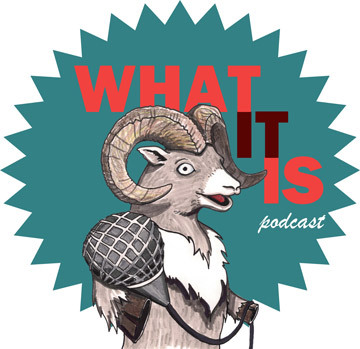 It’s just another day on the What It Is podcast.